Usually associated with the education of children, Montessori principles are helping aged residents of Torquay's Star of the Sea Residential Aged Care. One Australian is diagnosed with dementia every six minutes, and the problem is only getting worse because of Australia’s ageing population. 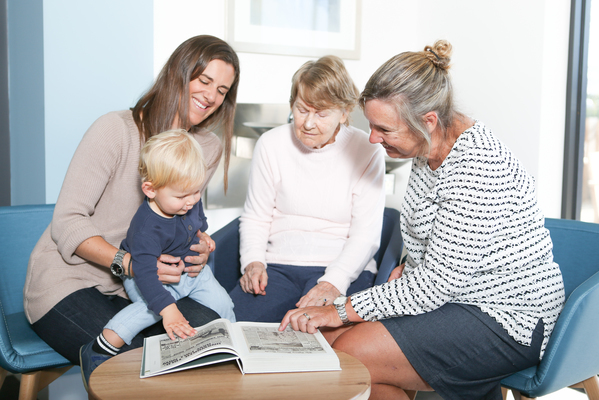 Not-for-profit organisation Villa Maria Catholic Homes (VMCH) has spent the past 12 months introducing the person-centred Montessori practice to support people living with dementia at its residential aged care communities across Victoria. One of those communities is VMCH’s Star of the Sea Residential Aged Care, at Torquay. With reported outcomes in aged care that include significant drops in medication use, residents sleeping better, drops in aggression and reduction in falls, Montessori in aged care is changing lives. While Montessori is traditionally associated with childhood education, in aged care it aims to support individuals in a practical, respectful and enriching way. They are encouraged to be as independent as possible and to have a meaningful place in their aged care community. All staff at VMCH have received training by managing director of Montessori Ageing Support Services Anne Kelly, who has introduced the practice to services across Australia. “Creating a Montessori environment encourages people to continue to do as much as they can and have always done, with support if needed,” Anne says. Aged care support staff also create opportunities for individuals to engage in activities that reflect their personal preferences. VMCH staff learn about each individual’s history, their interests, and what is important to them. VMCH recognises that dementia has a huge impact on not only the person diagnosed, but also their family and friends. That’s why VMCH works in partnership with the person living with dementia and their loved ones. “Families can play a vital role,” Anne says.